Want to visit the MED-EL site for your local area? Simply select your region and country below, or click to stay on the international site. Not all products, features, or indications shown are available in all areas. Want to Hear from Real Implant Users? Check out our User Stories and see what life is like with a hearing implant. 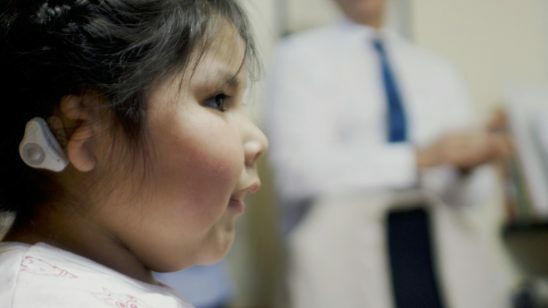 Cochlear implants bring the joy of sound to people with severe hearing loss. 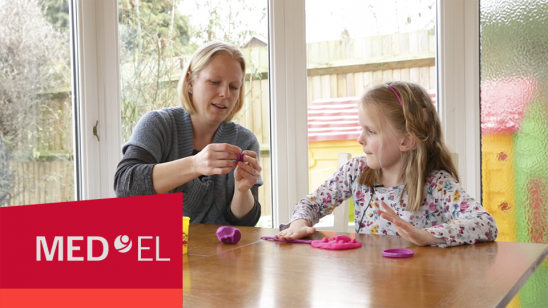 Find out how cochlear implants could help you or your child. Got Questions About Your Hearing Loss? Find out more about different types of hearing loss, and the hearing solutions that could help you. Want to Hear the Easy Way? Experience RONDO 2—the only cochlear implant audio processor with wireless charging. Which Hearing Solution Could Help Me? Find out more about your type of hearing loss, and see which of our hearing solutions may be right for you. Learn about people’s experiences with their MED-EL hearing solution. From parents to seniors, cochlear implants to bone conduction systems, our stories from around the world show what life is like with a hearing solution. With SYNCHRONY, you can have a high-resolution 3.0 T MRI of any part of your body at any time. It’s a routine procedure and you can go back to using your audio processor right away after your MRI. Find out what bone conduction is, and how it can help you hear. Not sure how to change the microphone cover, or connect to your phone? See our support pages for detailed information about your audio processor. Facebook, Twitter or HearPeers—connect with other MED-EL users online, and share your hearing journey with the world.